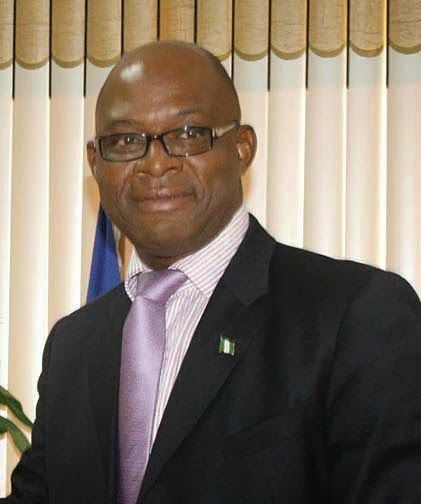 Mr. Temisan Omatseye, a former Director-General of the Nigerian Maritime Administration and Safety Agency (NIMASA), has disclosed that a total of 2.1 billion litres of imported petroleum products were currently trapped offshore Lagos. Omatseye stated this while delivering a keynote address at a one day maritime students’ conference tagged “A Day with the Nigerian Maritime Students”, organized by Platform Communications Concept in Lagos on Monday. According to Omatseye, the products were trapped for lack of capacity and capability of the vessels to collect the cargo here in Nigeria, and not because the shippers didn’t want to discharge them. He said: “As I speak to you now, do you know that we have 2.1 billion litres of petroleum products offshore Lagos; they cannot discharge it not because they don’t want to discharge it, but because they do not have the capacity or the capability of the vessels to collect those cargoes. What does that mean? We have so many years sold our birthright to foreigners that when they now realized that the market was not good, they parked their bags and ran away and they now left us high and dry. “So, right now, we are importing petroleum products, but we are unable to discharge them because we have failed to realize or because we have failed to see beyond our noses, the need for us to build a very strong maritime industry. He stated that the owner of the cargo was supposed to dictate the pace of how the industry runs, but unfortunately, Nigeria that owned the cargo had allowed herself to only be a tenant instead of being the landlord. According to him,” It has now dawned on NNPC that things have changed and we are even telling them don’t take control of cargo offshore, leave it to foreigners and this is what we are fighting in the Africa Ship owners Association, leave the foreigners to bring the cargo to our shores but once they get to our shores, let us take charge of our cargo. You cannot bring it here to our shores and begin to redistribute it in our own shores again, that is grossly unfair.